Sometimes I wonder how things that are so simple can be so powerful (and yet so overlooked). When we talk about fasting, we are talking about something that’s deeply connected to the highest expression of our genes. Fasting, itself, is an epigenetic trigger that “turns on” certain programs inciting your DNA to print out better copies of you. To put it simply, fasting can make you sexier, well… fast. You’re about to go on a life-changing ride and discover how fasting impacts your brain function, metabolism, aging process, and more. And I guarantee you’ll be compelled to make some changes in your life to at least get a slice of what the health benefits of fasting can deliver. There are many different types of fasts, but you can actually get most of the benefits while still being able to eat everyday if you utilize one of the strategies I’m going to share with you. The benefits of fasting are clinically proven in study after study, and they’re just too good to pass up. Time to learn the facts, dispel the myths, and utilize a plan to keep you healthy for many years to come! 7 different types of fasts you can do. What a micronutrient fast is. 8 incredible health benefits of fasting. How fasting is related to fat loss. What hormones are influenced by fasting. How fasting dramatically impacts your brain health. Why fasting could be one of the greatest anti-aging secrets in the world. How human lifespans are actually shorter when compared to other animals. Why fasting is an evolutionary benefit. The surprising way that fasting impacts cancer. How fasting influences your body’s ability to handle carbohydrates. Why fasting can be helpful for improving digestion. Why personal development has a deep connection to fasting. How fasting affects inflammation and healing. Previous post: TMHS 123: How To Discover Your Purpose And LIVE IT! Thanks for this episode I learned tons! It makes makes so much sense and is very doable. Every week I look forward to your episodes and what I’m going to learn from them! I was thinking it would be nice if you could mention in your show notes any products that you mention, with a link to that product on Amazon? Thanks and keep up the amazing life altering work you do! Laree’ you just put the biggest smile on my face. I love hearing that you look forward to the episodes because I’m usually overflowing with excitement to share them with everyone. I think linking a few things to Amazon won’t be a problem in the future. I’ll ask my team and see what they can make happen. You open my eyes and ears to so much goodness and food for thought. I have never been so sick and the past year has been awful. I have always maintained good health. Since my mom died three years ago and my turning 50, my hormones have been a mess. I am having thyroid problems, pernicious anemia and high insulin resistance. I am trying to help all three things by getting b-12 shots, natural thyroid med and eating protein, good carbs and healthy fats every three hours. I love fasting but my question is “Can people with high insulin resistance fast or is it bad for balancing blood sugar?”. I don’t eat that much and have put on 30 pounds. I’m sure that it had to do with cortisol and adrenal fatigue. I’m taking Asheangandha at the moment. Thank you for all the great that you do each day. You are a bright light. Oh my goodness, Lylia, big hug going on to you in San Fran! Thank you for sharing the love, and thank you for sharing a little bit of your story with me. I think you said something important in your post… These words in particular: Since my mom died three years ago. I definitely understand what you must have went through (and still are going through). My grandmother raised me for a significant portion of my life, and she passed away way before her time. Just the thought of her can conjure up one of two things: appreciation or regret. I wish that I could have talked with her more, loved her more, and listened to her more while she was here. I know that I can’t go back, so instead of putting myself through pain (which I know she wouldn’t want), I choose to focus on all the things I’m grateful for in having her in my life. I literally get so overjoyed and grateful that I can’t help welling up with tears. I’m saying this to say that you sound like your mom’s passing was a catalyst… If you are not doing something to address this, then I strongly suggest you start doing that now. Your mind and emotional wellness has a huge influence on what your hormones are doing. Listening to the show is a great start in making you feel good and empowered (which is why I know you’re tuning in 😉 ) but working with someone to build up your strength and emotional intelligence would be a good plan of action in my book. Also, on the note of strength, 50 years old is a great place to start lifting heavy weights! Not 3 pound pink dumbbells, but I mean real weight that makes you just as strong physically as you will be mentally. Plus, there are not many things better for your hormones too. Some smart intermittent fasting, per the info given in the podcast, can be helpful for normalizing insulin function too. The only way to know is to try. I’d suggest a 12 hour fasting window each day and see how things go. Shawn – you mentioned some studies showing that fasting improves the side-effects of chemotherapy; where can I find those? Hi Shawn! I’ve had the pleasure of being a listener for almost a month now. I’ve listened to almost every episode now and can’t believe how much of a positive impact you and Jade have had on my life. One of the most amazing things I’ve found about listening to the Model Health Show is that for the first time, I feel empowered rather than afraid when learning about health and well-being. I honestly don’t know how to put my gratitude into words – I’m 16 and recovering from an eating disorder. When I listen to your show, I feel like I’ve got an older brother and sister watching out for me and helping me make the best decisions for my physical and mental health. I was just wondering what your thoughts were on fasting while recovering from an eating disorder? Thank you (and Jade!) for all that you do. You guys are such a positive force in the world and I can’t wait to see what you do next! Thank you so much for this episode! I already put so much of what you share into action in my own life, eating real food, water, sleep, exercise…but I have still been dealing with recurring sinus infections. I teach for a university, and it seems that the stress and workload of the start of a new semester trigger my lowered immune response. I try to do natural cures (like using a Neto pot) but I was feeling like I needed to just go to the DR and get some serious medicine to kick it. I was thinking of making an appointment but then I listened to your podcast on Thursday. You reminded me of the juicer that I own (that has been sitting). I made 4 different juices throughout the last two days -carrots, celery, beets, garlic….and I feel AMAZING!! While my symptoms aren’t completely gone, I have so much energy, my happy and upbeat mood is back, and I am filled with vitality and the confidence that my body will recover! Thank you Shawn for your message and energy that you bring into my life. I know that my own radius of positive impact is so much greater because of you. Thank you so much for all that you’re sharing. I will more in a bit about how it’s literally changed my life. But just quick, I wanted to share something with Jade. I love the word mashups you come up with (I’ve been known to do the same, often) and thought you might enjoy one I made up a while back: eclecellence or eclecellent. It’s a combo of eclectic and excellence. More later. Thank you both so much for all you do! First and foremost, thank you. Your podcasts have been a paradigm-shifting blessing…for me, my wife and our three daughters. We’ve put into practice nearly everything we’ve heard you discuss, from the tips in Sleep Smarter to spending time together. Second, I would like to ask if there is a repository for all of the show notes. I like to go back and reference what I’ve learned. Any direction in this would be a huge help, and thank you again. First I just want to say thank you for all of the amazing shows you create! I love being uplifted by the powerful content you share and Jade’s fabalicious words! I do have a question about intermittent fasting. This is not the first time I have heard about fasting, but it’s the first time I have heard about it from someone I seriously trust, and paired with the health benefits rather than just “do this and get abs” so thank you for that! My question is, overtime I have heard about intermittent fasting the people speaking about it normally fast through the morning and eat later in the day, and I am wondering if that is just preference, or if it would be just as powerful to stop eating early. So rather than eating from 10AM to 8PM, say eating from 8AM to 6PM, or something along those lines? Thanks so much for your time Shawn, you truly are an amazing and inspiring individual! 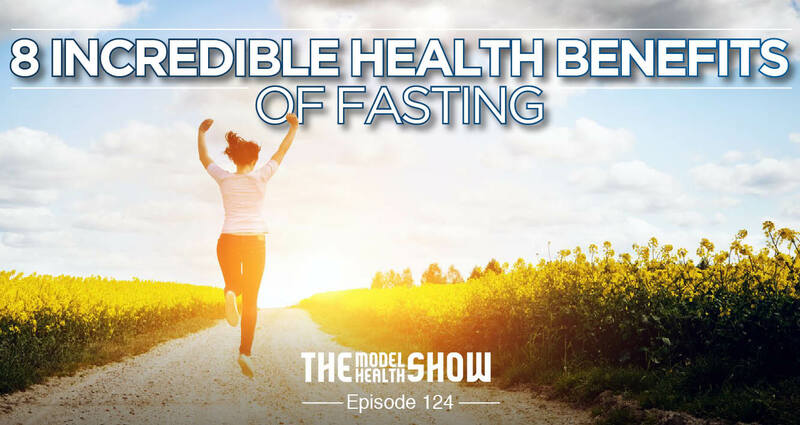 Hey Shawn – I just listened to this podcast, after having thought about doing intermittent fasting for some time – I find the information you provide to be very well laid out and conversational in pace, which makes for easy understanding and retention! I listen to you while I walk the dogs in the morning, so my apologies if these two things were discussed and missed them – feel free to go all teacher-y and tell me to review the material again!!! But my questions are a) is I.F. something that one can (or should?) do every day? and b) (this one’s a tad longer) I work out at 6a every day (alternating between lifting and high intensity boot camps)… I PERSONALLY feel totally fine not eating for a few hours afterwards and don’t typically have the time or appetite to eat beforehand. I’ve read some things (most recently I’ve been looking at Mark Sisson’s research) about post-workout fasting .. but I haven’t found a direct answer to my question. Is it OK to do an overnight fast – say I shoot for 14 hours, eat dinner at 8 and my next meal at 10a – with a 30 minute high intensity workout in the morning (therefore, not eating until about 3 hours after my workout is complete)? I work at home with a fully stocked kitchen – so I think a daytime fast would be a trickier endeavor and, with the early morning workout, would make a decent length of a fast tough to workout without eating late at night. Thanks!!! Shawn, I love your podcast! I think it would be an amazing podcast if you took us through “a day/week in the lift of Shawn” where you break down exactly what you eat and how you train, and how you alter it throughout the week to remain balanced. Or maybe youve already done this? 🙂 Thanks for all you do! Hey, wouldn’t micronutrient fasting be the same as calorie restriction of fatty supplements with calories are taken? Like a fish oil and vitamin e capsule would be around 100 calories…. Wouldn’t that be like eating 1 cracker per day?